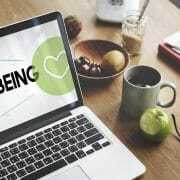 There no shortage of corporate wellness programs and approaches for companies who want to help their employees to be the healthiest, happiest and most productive versions of themselves. With the gap between the youngest and oldest employees getting wider, there needs a solution that works for all stages of life. It’s harder today, too, because research is showing that many workers are more cynical about ‘workplace wellbeing’ than a decade ago. You will want to find a solution that people trust and is built to their needs, not the employer’s needs. Weighing up your options and considering all the factors requires time. Things like budget, internal resource, timing, accessibility, privacy and health focus areas (such as physical fitness, diet, sleep or mindset). In reality, more immediate priorities such as recruitment, performance management and dispute-handling may undermine your capacity to give an employee health strategy the time it deserves. For anyone investing time and budget into employee wellbeing, the key message to senior executives and leaders is that they will expect to see improvements in workforce productivity, retention and engagement, plus organisational image (1). The responsibility for people’s health doesn’t start and end with your Human Resources team. Many reports on workplace health in recent years have flagged the need for leaders to enable and embrace workplace wellbeing themselves. The National Institute for Occupational Health and Safety in the US (2) and key public figures in Australia (including former Victorian Premier and mental health advocate, Jeff Kennett) (3) have called for CEOs and senior leaders of organisations to strongly support and embrace any wellbeing program they roll out. As well as sending a strong message about wellbeing culture, such leadership can generate a better ROI. It has been reported that increasing participation rates can double or triple the ROI (4), and strong leadership can play a vital role in this. to success is communicating to employees from the outset that a wellbeing program is a win/win situation with benefits for both the individual and the organisation – not another KPI they will be measured against. It is very difficult to pick the most burning health issue affecting your people’s engagement or productivity from just looking around the room. The best wellbeing provider should be able to report aggregated findings from employees’ on-boarding health assessments to help you develop your approach. In the absence of any specific data for your organisation, it may be helpful to understand the top concerns of employers across the world (5). Choose a program that takes an integrated and holistic approach. Active people tend to sleep better. Eating better helps you feel more energised and more sleep helps you to manage stress. Although this seems like common sense, many workplace health programs focus on a single lifestyle factor at a time. Having an integrated program that addresses most or all of these issues is the most effective strategy. Having themed challenges as part of your strategy is also valuable. A shared focus on one health area with friends and colleagues gives a sense of increased connectedness and motivation. Allowing people a degree of flexibility to tailor their program to focus on their personal health concerns will also increase engagement. Choose a digital approach to reduce your cost and simplify delivery. While many workplace health programs have usually included an element of face-to-face delivery (talks, coaching sessions, health checks) and printed material (health risk assessments), research proves that a lower-touch digital approach is also effective (6), especially when it is interactive and includes an element of competition and gamification. Ensure your program has a strong educational foundation that drives behaviour change. With so many different fads and myths around health, you need to make sure you are investing in a program that is based on proven behavioural change strategies and that your workers are receiving research-based health insights. Programs built on the science of enhancing the intrinsic motivation of individuals improve success rates (7). Great wellbeing programs will give participants a baseline to work from and measure their progress against as they go along. This can take many forms, such as an overall assessment score, comparisons against government or World Health Organization guidelines, or even the number of steps taken for specific challenges. Without the right communication, getting employees to engage with a wellbeing program is challenging. To boost initial participation or win back engagement when it drops, it can be tempting to offer rewards. Opinion is divided on when and how to use them effectively. Speak to your wellbeing provider about their thoughts on incentives and what measures they can offer to help you identify worthy winners and ensure fair weighting of reward if you do wish to offer them. Awarding people for a number of daily steps taken, for example, becomes a meaningless numbers game that rewards the people who are already active. Rewarding those showing the greatest (or a certain level of) improvement, however, levels the playing field for everyone. Also, effective incentives don’t need to be limited to financial rewards. Try other incentives such as giving people a slightly longer lunch break to t in a workout or a walk; discounts on healthy lunch options; healthy options at morning teas and on staff birthdays; or a ‘no emails after a certain time’ policy. Better still, ask your staff what the roadblocks to them participating are and try to nd small ways to make it easier for them. 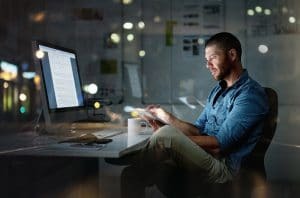 The traditional office-based workplace environment has been shown to have a negative impact on health and, therefore, productivity through the amount of time spent sitting. Where budget allows, you could consider sit-to-stand/stand-up workstations. Cost-free tactics include making more meetings stand- up meetings, encouraging staff to take walk-and-talk meetings, and incorporating a few short stints of movement into the day. 1. Did my people benefit? The aim here is not to ascertain their personal health outcomes (those should be reported by your provider) but rather to determine how they felt about the opportunity to participate and their engagement and sentiment towards you as their employer. all benefits. Finding a program that minimises indirect costs should be a key selection factor. For more information on Employee Health and Wellbeing, read our white paper here. (1) Global Healthy Workplace, “Working Well: A Global Survey of Workforce Wellbeing Strategies”, 2016, https://www.globalhealthyworkplace. (2) Health. NIfOSa. “Essential elements of effective workplace programs and policies for improving worker health and wellbeing”. October, 2008. (5) “Global health risks: mortality and burden of disease attributable to selected major risks”, WHO Library, 2009. For many Aussie office workers, a lunch break means downing a take-out sandwich or stir-fry at your desk, while you spend 20 minutes checking out the sports or news websites. Then it’s back to work, and that’s only if you haven’t been interrupted by an email alert or a fellow colleague needing something from you NOW. While this may seem like an efficient way of fuelling your body and your brain when you have deadlines to meet, it may not be the case. Here are a few reasons to get outside in the fresh air and have a clean break from work at lunchtime. 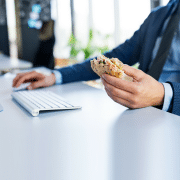 A research study by Hays showed that a large proportion of people believe their employer will think they’re more committed if they eat at their desk. The same study revealed that even a short break of just 15 minutes away from work can increase productivity levels. Having a quick break from work and getting in some physical activity will recharge the brain and get those happy hormones firing. 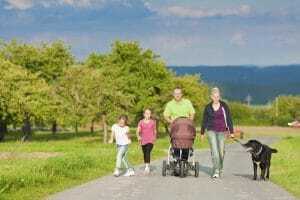 A lunchtime walk can improve enthusiasm, relaxation and mood for the rest of the day, a study showed. At Ritualize, we have a Green Time ritual and for good reason. Spending time outside in nature has long been associated with lower stress levels. If you work near a park it’s probably the best place to spend your lunch-break, especially if you are having a stressful day. Having a pot plant on your desk has also been shown to improve employee wellbeing. Another ritual we encourage is mindful eating. Picture this. You’re at your computer in the middle of an important email, only to break for a few seconds to pick up your salad sandwich, take a big bite before your focus returns to the email. Before you know it, you’ve eaten the whole sandwich without even realising it. When you are focussed on what’s on your screen, it’s taking your awareness away from what you are eating which can slow down your digestion and your satiety. Emerging research is also suggesting that eating mindfully, or slower and more thoughtfully, could affect your food choices. Eating lunch at your desk means eating lunch solo. There’s a lot of evidence out now to link social connectedness to happiness. Going out with fellow work colleagues and socialising could increase your mood and help get you through the afternoon with less stress. It’s not just what we eat, but when we eat it. The fact that fasting has been around in religion and different cultures for centuries should indicate that it isn’t as hard at it first sounds. Science is now catching up on the powerful health benefits it can offer. It’s not something you need to do daily either, even just once a week is showing to have numerous health benefits. This is known as time-restricted feeding or intermittent fasting. This requires eating overnight in a 12-hour window. For example: if you’re someone who wants to eat breakfast at 8am, you would have to eat your last meal/snack of the day before 8pm. How does it work? Our body’s metabolic processes are guided by our circadian rhythms, which are the rhythms that repeat themselves on a daily basis. For example, sleep is a circadian – we go to sleep and we wake up. 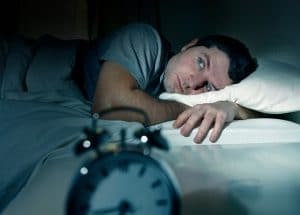 Science is revealing a link between disruption to our circadian rhythms and disease. The best time to stop eating is as the sun goes down then just drink water and nothing else for the 10-12 hours overnight. The findings, primarily on mice, found the break allows the body’s process of cellular repair to work more effectively. It also allows the repair of damaged DNA and the breakdown of toxins. Several US studies (1 and 2) summarized by the NHS in the UK here have shown time-restrictive feeding to reduce weight-gain in mice. In one of the studies, two groups of mice were each given access to the same amount of daily calories (unhealthy, fatty, sugary foods) but were given varying windows of time in which to eat them. Those who limited their intake to the shortest window gained the least weight. Those who ate the high calorie diet across a 24 hour period gained almost three times more weight than those who restricted their eating to a 9 hour window. Similar studies conducted on humans, such a study by The Obesity Society has concluded similar results. Is Time-Restricted Feeding the same as Intermittent Fasting? No. 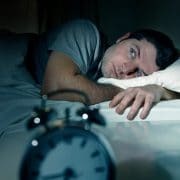 Time-restricted feeding is about limiting your eating within a 12 hour window as often as possible to rest the liver and support the body’s natural circadian rhythm with the benefits listed above. Intermittent fasting is about having a very low calorie intake on two days a week and eating normally on the other five days (otherwise known as the 5:2 approach) with a predominant focus on weight loss. While the intermittent fasting approach is successful for many people, the Dietitians Association of Australia (DAA) say it’s “no magic bullet’ and that intermittent fasting can be hard to maintain long term. What we love about time-restricted feeding for many people is that it’s easier than reducing calories during the day. You get the health benefits of fasting without feeling deprived. Sleep plays a vital role in good health and well-being throughout your life. Getting enough quality sleep at the right times can help protect your mental health, physical health, quality of life, and safety. It can also mean the difference between a good day and a bad day. Take a hot bath or use relaxation techniques such as meditation, and avoid bright artificial light, such as from a TV or computer screen. When our bodies are exposed to artificial light from LEDs and screens, we are confusing it and your body’s circadian clock is disrupted. 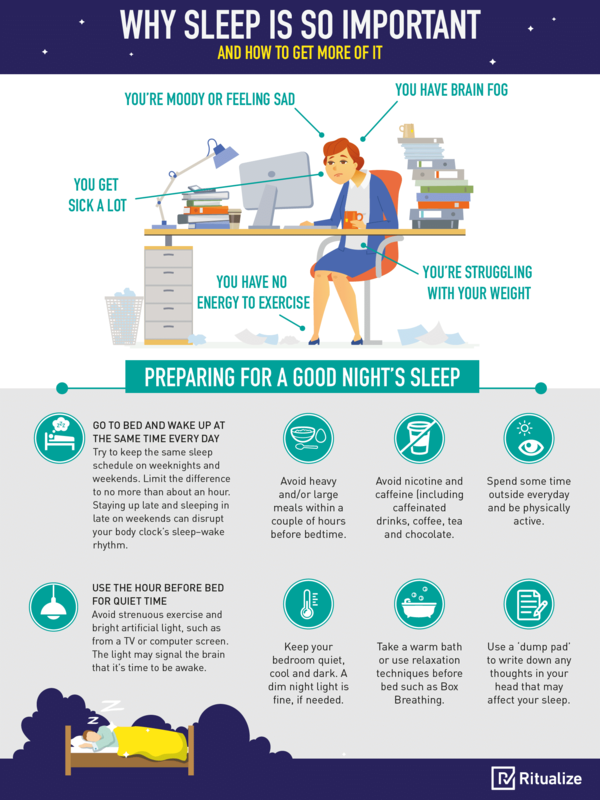 The body doesn’t know when it’s time to get ready for sleep and stays alert, so make sure to turn off or stop using all your devices at least one hour before you go to bed. If this isn’t possible, use ‘Nightshift’ if you have an iPhone and MacBook. This is a setting which makes the colours on your screen warm. Most smartphones have the night option – look for it under settings, and you can set a time for it to automatically switch on and off so you don’t have to always remember. Read more about the effects of blue light in our previous blog post. No gym? No equipment? No problem! It’s false to believe that we need gyms and expensive equipment to get a good workout in. A simple and effective approach to exercise is to use your own bodyweight. Simply put, it’s an exercise that uses the body as a form of resistance to work against gravity. It’s completely free, accessible and highly effective. There’s nothing new or fad-like about Bodyweight Training. There are records of ancient Greeks, Romans and Egyptians using this method and it’s still used in military training for the same reasons. What Bodyweight Training does, in particular, is it incorporates core stability and stabilisation of the joints relative to the person’s body weight. Compared with traditional weight training, you won’t build muscle mass, but you can gain strength relative to your bodyweight. Today, some common approaches to bodyweight training are the traditional squats, push-ups and lunges. Yoga is also a form of bodyweight training, but there are also hundreds of others that work the whole body in a functional, 3-dimensional way, not just isolating one or two muscle groups. At Ritualize, we use bodyweight workouts which can be done anywhere, anytime. After just 4 minutes your heart-rate will increase and you’ll feel like you’ve done an hour at the gym! Here’s an example of what you can do at home. 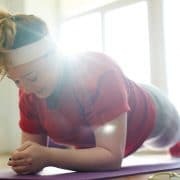 To try our Bodyweight Workouts from Level 1 (beginner) to Level 5 (advanced) log-in and go to https://au.ritualize.com/workouts on your desktop or go to the Learn-Workouts section of your app. Or check out our 4-minute Bodyweight exercise video or our 8-minute Bodyweight exercise video! Our Movement Snacks are a form of bodyweight exercises. These are short bursts of exercise you can do at work or home to break up a long stretch of sitting. While there is no ‘best’ way to exercise for everyone, bodyweight exercise offers so many benefits. The top benefits being it can be done anywhere and it’s free. Given recent research is associating exercise and physical activity with better quality of life and health outcomes, it’s a great way to gain these benefits even if you are time poor. We have all heard of exercise is important and that a sedentary lifestyle has been linked to diseases. 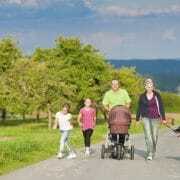 Recent evidence has shown that an active lifestyle can increase your life by up to 9 years. The World Health Organisation offer guidelines on physical activity which are detailed below but first it helps understand a little about the evolution of our species in order to understand why the way we move (as opposed to just doing any exercise at all) is so important. The way genes adapt to a changing environment is to mutate. Our species, ‘homo’ has been around for about two million years, with modern humans (homo sapiens) existing for around 200,000 years. The last significant gene that mutated (called the M168), occurred 45,000 to 50,000 years ago! Since that time, there have been a few mutations, such as those to allow us to digest grains and dairy, but all in all, our genome hasn’t changed. However, our environment has changed (but we haven’t adapted to it). Our ancestors moved a lot – today, however, many of us work in offices, call centres and due to our increasingly sedentary lifestyle, we move a lot less. To be in line with our hunter-gatherer predecessors, we would need to take between 18,000 and 22,000. In fact, the average Australian and British office worker take just 3,000 to 5,000 steps per day. This is a significant shortfall and our health is suffering as a result. ‘We know of no single intervention with greater promise than physical exercise to reduce the risk of virtually all chronic diseases simultaneously’. So, what does all this mean? Many of us are relying on 10,000 steps each day for health benefits, so where does that fit in with the recommendations? And what does ‘be active everyday’ look like for you? To simplify things, we have created rituals around ‘Active Minutes’ to minimise the gap between 10k steps and vigorous exercise. We show you the reduction you achieve to your BioAge from movement in the shape of the ‘Active Minutes Ritual’ (this encompasses steps, movement snacks and high/moderate intensity activity) rather than relying on calculating your activity themselves. At a minimum, take 10,000 steps per day (or 70,000 a week). A great way to keep track is with a device such as a Fitbit, Garmin or Jawbone Up. Introduce quick bursts of movement throughout the day (what we like to call Movement Snacks). Use TV advert breaks to do squats, push-ups or 30-second sprints. Do three to five workouts per week – ideally a combination of vigorous activity and strength sessions. 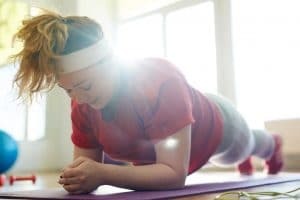 If you don’t view yourself as a ‘workout person’ don’t worry, workouts can be short and sharp and can be completed anywhere without equipment – our timed Ritualize workout videos are a great start! Don’t sit for prolonged periods, as this along is a risk for chronic disease. Ensure you get up and move a little every 30 minutes or so. See how many active minutes you need to hit to reduce your BioAge each day by clicking Active Minutes on your Ritual Board and you’ll find it at the top of the page (on both app and desktop). 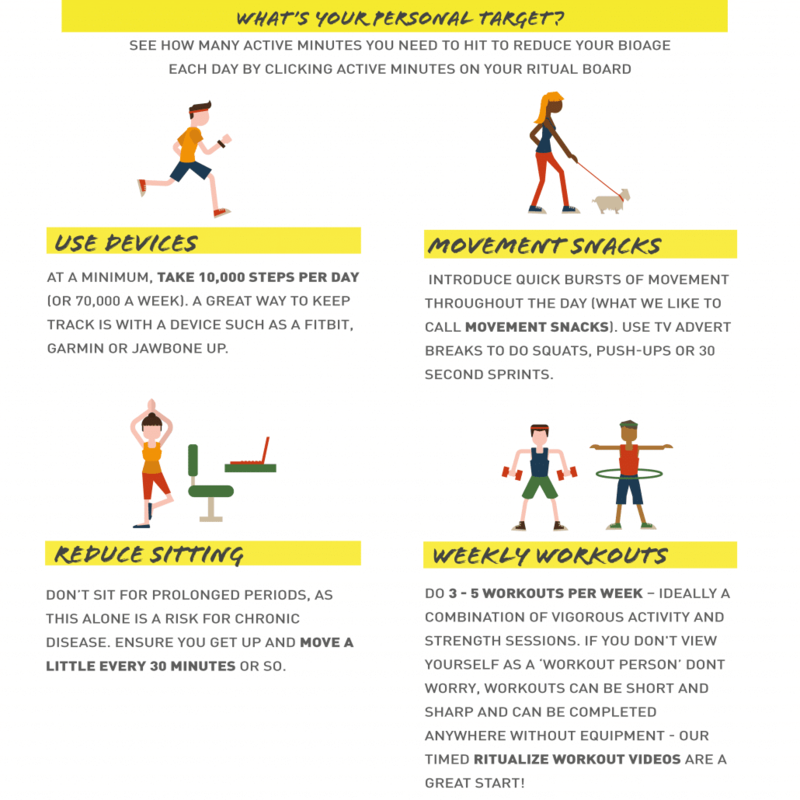 What’s important for many people is you don’t need to be going to the gym for an hour every day to gain benefits of physical activity – all movement counts! One of the Rituals many of our Ritualize members have on their Ritual board, is to take a cold shower a few times a week. If this brings feelings of dread into your stomach, don’t stop here …. keep reading! You may be surprised at how beneficial taking a cold shower is. We’re talking immune boosters, mood enhancing and weight loss to name just a few. Before we talk about the cold shower Ritual, let’s briefly delve into the science of cold emersion. Cold emersion (or what can be called cryotherapy) has shown to release noradrenaline in the brain. This is a neurotransmitter that is linked to your bodies resistance to stress, reduced inflammation and improved mood. It can even improve your brain’s ability to create new brain cells. It has also shown be effective for short-term pain reduction and has shown to help the symptoms of chronic arthritis. And if this wasn’t enough to turn the shower handle to cold for your next shower, it has shown to increase ‘brown fat’ (a type of adipose tissue). This brown fat is different to white fat in that it produces heat by burning calories. In other words, brown fat is a calorie hungry, internal heater. One study showed that 250 extra calories were burned through brown fat after a 3-hour period of cold exposure. One of the most immediate benefits of a cold shower is feeling energised and happy. This is caused by norepinephrine to be released in the brain, which is great for mood. Studies are currently being carried out on cold emersion and clinical depression, so watch this space. In the meantime, people taking cold showers, even just once a week, tell us how great they feel afterwards. Try doing 20-30 seconds at the end of your shower. Rather than it being a sudden hit of cold, try box breathing before and during the cold shower. It really helps and after a few time, you’ll start incorporating a cold shower into your routine. The benefits feel too good to stop! Interested in reading more about Cold Water emersion? Read our blog on a first-hand experience. Many of us will have memories of being told to play outside when we were kids. Our parents motive was most likely to get us out of the house, but chances are they weren’t aware of the full benefits to our wellbeing. Unfortunately, the increase in urban-living means many of us spend less time in nature and more time in artificial light (Blue Light) and it’s taking a toll on our mental health and wellbeing. Research has revealed that when it comes to exercise, even just 5 minutes in nature has shown to have a positive influence on well-being. This may be why many urban office spaces are going green with the addition of office wall gardens and plants. (3) There is strong evidence supporting the benefits of plants in office spaces for reducing stress, negative mood, increasing creativity and focus. (4). 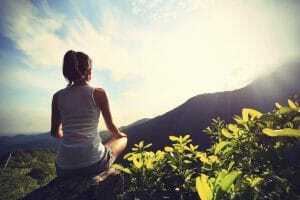 Intuitively most of us know that being in nature is good for us, but given the amount of research backing this, it’s good reason to have a daily ‘green time’ ritual to make us feel energised. This could be a simple walk around a park in your lunch-break, walking your dog and focusing on the environment around you or doing some gardening when you get home. Whatever your ritual, going green each day will help your feeling of wellbeing.